1) The Holiness of God by R. C. Sproul – Why? Because we need to be exposed to the Majesty of God in a culture that deifies mankind and the creation above the Creator. Next to the Bible – no other book has influenced me more than this one. I could easily include several other works by Sproul in my top 10 – but I believe that if you start with this book – you will be hooked and read many of the other 50 plus books he’s written. 2) Emotionally Healthy Spirituality by Pete Scazzero – Why? Because this book goes to the depths of the soul to reveal how original and generational sin has impacted our natures to show us the depths of our sin, and our need of Christ to make us whole again. 3) Heaven: The Heart’s Deepest Longing by Peter Kreeft – Why? This is the most difficult read (for me, anyway) on the list, but well worth the effort. I think Kreeft does a masterful job of giving a fantastic apologetic for the afterlife, and in particular demonstrating that all that we long for in this life will be fulfilled in Christ for the rest of eternity. 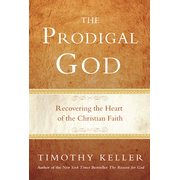 4) The Prodigal God by Tim Keller – Why? Tim Keller distills the gospel in a most eloquent manner by giving a masterful exposition of Luke 15:11-32. He shows how we have a tendency to err on the side of legalism and how to correct this by coming to a deeper understanding of the grace of God as revealed by Jesus – the Master story teller. 5) The Reason For God by Tim Keller – Why? I debated on whether to have “Reason to Believe” by R.C. Sproul, or this book by Keller on my list. I chose this one, because it is better at tackling the post-modern objections that people have to believing in God, and more specifically – Christianity. Keller does a masterful job of making a compelling argument for the logic and cogency of believing in the God of the Bible. 6) Systematic Theology by Wayne Grudem – Why? Dr. Grudem is a humble and scholarly theologian who has given us his Magnum Opus in a readable, clear, an articulate fashion. He covers all the major doctrines of the Bible with thoroughness, balance, and grace. I would love for Christians to read more theology than they do, but if they only read one book of theology in their life time – I would want this to be it! God-centered, Christ-centered, and very relevant and practical with application questions for each chapter. 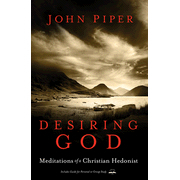 7) Desiring God by John Piper – Why? I had to have something by Piper in here! I have to admit, that Piper is difficult for me to read. However, the thesis he develops in this book “God is most glorified in us, when we are most satisfied in Him” is strongly and powerfully developed in this book. You can’t read this book without being more powerfully drawn into the glorious presence of our wonderful Maker and Sustainer of all the desires of our heart. 8) Humility by C.J. Mahaney – Why? Because God opposes the proud and gives grace to the humble! This is the shortest and easiest read on my list. However, that doesn’t minimize how important an understanding of Christ’s humility can radically change our lives for the greater good of the Kingdom. Too many Christians are prideful, fleshly, and live in a status quo state. 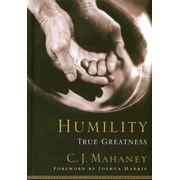 Mahaney’s book is extremely enjoyable and Christ-centered. 9) Spiritual Depression by David Martyn-Lloyd-Jones – Why? This book is one of many that I could have selected by the Welsh Medical Doctor turned Preacher. It consists of various sermons he preached and distills his mastery of Biblical exposition and combining that with his understanding of the human soul. It covers various topics (more than depression) and really the focus of the book is on how to have more joy because of the person and work of Jesus Christ and the working of the Holy Spirit in our soul. 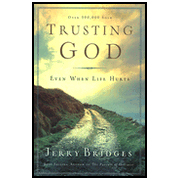 10) Trusting God – by Jerry Bridges – Why? Because as a pastor – the issue I deal with more than any other is people dealing with worry, anxiety, fear (whatever you want to call it). Bottom-line many Christians live like atheists. They live as if God is NOT sovereign or good. Yet the Bible, and reality teach otherwise – if we view things from His perspective. This book is an excellent practical read that combines good theology with practical encouragement for those who struggle with doubting God’s goodness in their lives.